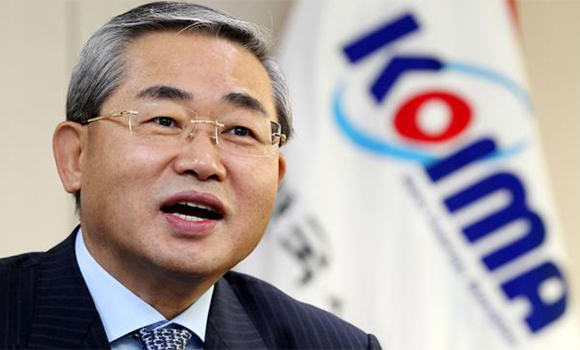 By using its “buying power” in the global market as leverage, South Korea has been able to secure new export partners more easily and it is time to be aggressive in promoting Korea as a big importer in the global market, said Shin Myoung-jin, chairman of Korea Importers Association (KOIMA). In a recent interview with Pulse, Shin, who was newly appointed as the 20th chairman in March, noted that Korea is well known as a major exporter in the world but little is known that the country is also the world’s tenth-largest importer. “The government and people are now well aware that a virtuous cycle of exports and imports is what promotes the industry growth in Korea and that imports help bolster exports,” Shin said. The chairman emphasized that Korea lacking natural resources depends more than 99 percent of natural resources on imports. More than 60 percent of the country’s total imports are raw materials. 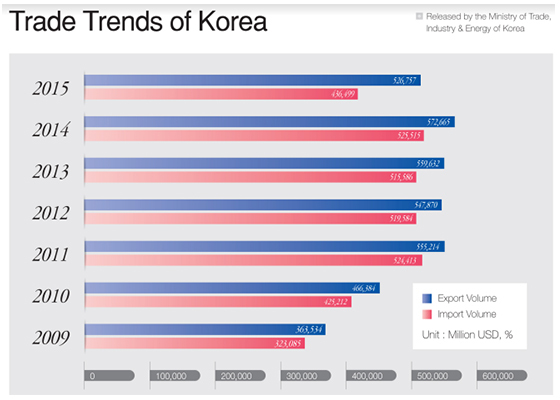 “Korea cannot send goods outside the country without importing raw materials,” Shin said. As part of efforts to make Korea more known as a major importing country and to secure stable suppliers, KOIMA has been sending delegates overseas. Representatives visited Myanmar in June and Malaysia in July, and they also plan to visit China, Canada, Cuba, and Taiwan in October and November. “By sending delegation to strategic export countries, we have been able to pioneer new export markets using the buying power of Korean companies and secure new customers,” Shin said. He added that KOIMA plans to continue with its efforts to promote the country’s buying power next year by sending delegations to emerging and developing countries including Mongol and Sri Lanka and those in Central Asia, Central and South America, and east Europe. KOIMA’s active role in trying to resolve trade imbalance has allowed the association to become one of the most popular organizations among foreign ambassadors and commercial attaches in Korea. In a survey conducted several years ago asking foreign embassies in Korea to pick a Korean organization that offers the most useful resources and assistance to their own respective countries, 58 percent of respondents responded it was KOIMA. Shin, who is also chief executive of Chunjin Chemtec Co., an importer of natural rubber, is a legendary businessman. He founded the company when he was only 27 years old by opening up the import market for natural rubber from Malaysia that had been dominated by Japanese trading companies.